Founded in 2008, Poodle and Pooch Rescue is a non-profit group with a very specific mission … to rescue as many “leftover” dogs as is possible. Such canines earn the moniker for being too old, too infirm, or possibly both, to attract adopters. Nearly all of their dogs come from local animal control agencies in and around Orlando, where they’ve languished in need of extra-special attention. Once the group identifies such a creature, they set their sights and do not stop until the animal can be taken into their care. Without governmental financial assistance, they rely on fundraisers, adoption fees, as well as donations to cover the costs of day-to-day operations. The group is comprised solely of volunteers. In spite of their few years of operation, they have amassed a huge foster network of 100 homes! It is in these homes where rescued dogs recover from traumas and surgeries. During their stay, foster pet parents invest significant time and energy in training, grooming, socializing and nursing these pups back to health, all to get them ready for adoption. Poodle and Pooch Rescue has garnered a commendable record for saving lives. In 2014, their actions led to the rescue and successful adoption of 416 dogs. This last year, they far exceeded that number, with over 500. Way to go, rescuers! Locals know the group thanks to their honorable reputation for taking in dogs who’ve been abandoned by everyone else. Truly, Poodle and Pooch is the quintessential “lost cause” rescue group. Many of the animals they take in from the local animal control agencies are in desperate need of serious medical care. Oftentimes, they do both the sterilization procedure and any other surgical treatment required, all at the same time. Common procedures include tumor removals, serious dental remedies, cystotomies and much more. Thanks to their amazing work, nearly every single dog finds his or her way into a loving forever home. In light of this amazing group’s meticulous work, the Board of Directors’ decision to fully fund this application was a simple and unanimous one. Poodle and Pooch Rescue has big plans for their financial award. With our foundation’s grant, they estimate they will be able to save 40 dogs from a variety of distressing situations. This represents a significant intake, and we couldn’t be more pleased to have played a small part in saving these lives. “Thank you for your very generous grant to Poodle and Pooch Rescue,” said Michele Wacker, who serves as Special Needs Director. “Your grant will help us spay, neuter and save so many dogs.” She further added, on behalf of all the “lives you have changed”, we thank you for “helping us in such a big way”. Some of Pooch and Poodle’s many adoptable dogs. 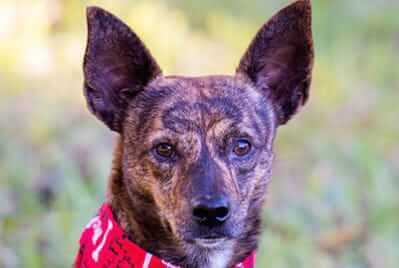 If you or someone you know would be interested in adopting a dog or cat in Florida, we encourage you to visit Poodle and Pooch Rescue (pprfl.org). You never know … you could end up finding your new best friend! It is so nice to see the company helping small rescue groups! The pets are what is important and the Dr Jane Foundation is such a great way to give back. I sincerely appreciate the good work and knowing that the charitable arm of Life’s Abundance, The Dr. Jane Foundation provides financial support to small and medium-size rescue groups who work to prevent animal homelessness, abuse and chronic neglect. Wow! Just think Every time someone purchases a Life's Abundance product, a portion of the profits are contributed to the Foundation’s operating fund. Now That's amazing! Keep up the great work! I thought this was a Poodle Rescue at first, but now I see that they help any type of dog. Either way, I'm so glad to be a representative of a socially responsible company like Life's Abundance. It feels good to know that the products I buy and sell are not only helping the animals who use them, but also fund these great rescue organizations.